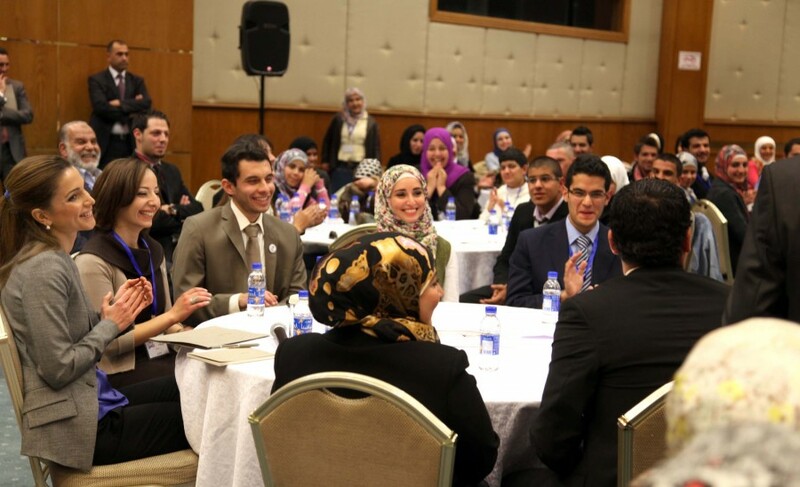 Attended by Her Majesty Queen Rania Al Abdullah, and in the spirit of giving back to their communities and encouraging a culture of volunteerism, “Takaful” Jordan Volunteers held their first Forum at the Royal Cultural Center in Amman today. The Forum introduced the audience to the volunteers, their work, achievements, and the challenges they face through presentations and discussions throughout the day. In his welcoming note, Mohammad Jaber, Founder of the 9000 person-strong, Jordan Volunteers, talked about the group and the important work they do in underprivileged communities. Jaber highlighted the challenges the group faced at the beginning before gaining acceptance and respect as a non-profit group. Another volunteer, Mutasim Masalmeh, stated some facts about the group and their achievements. To date the volunteers have had 114 different events and activities. Their work mainly targets the elderly, orphans, people with disabilities, children combating cancer and support of other charity associations. A group of the volunteers shared their stories and experiences working with the less fortunate. Some shared stories about the bonds and long lasting friendships they formed with the elderly or children they work with. “Their courage and bravery is what keeps us going” said one of the volunteers. Her Majesty commended the volunteers on their “admirable acts of generosity” adding that the stories she heard today are “truly inspiring”. The group which grew organically, and gained momentum purely through word of mouth, is very popular amongst college students in several universities across the kingdom.